Mushroom mycelia extract of Agaricus. 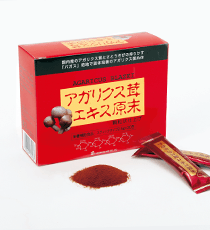 Ganoderma lucidum, Shiitake are the main ingredients and is added with Mulberry and Guava leaf extract. It is blended upon processing for minimal sugar absorption. ※※Attention: Expire 3 years after manufactured, while unopened of SUPER AGARICUS DX from April 2014. 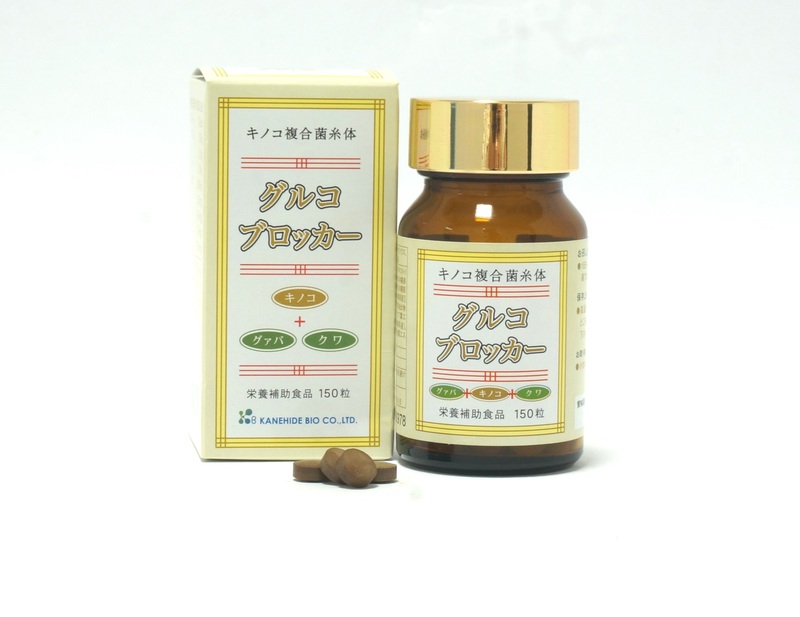 This product is blended with Okinawa-made Agaricus extract which is comparable to dried Agaricus 6g, and 1500 mg of Okinawa-made Agaricus mycelia extract powder, per a pack (100mL). This product is blended with Japan-made Agaricus and Okinawa-made Agaricus mycelia extract, that is palatable as granule. ※※Attention: Expire 3 years after manufactured, while unopened of AGARICUS MYCELIA TABLET from April 2014. 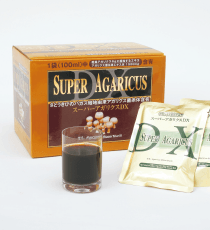 Okinawa-made Agaricus mycelia is carefully cultivated on bagasse, by-product after the sugarcane juice extraction. 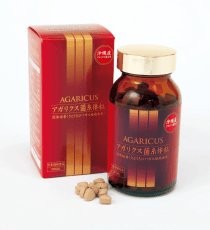 The Agaricus extract is made into tablet, that is palatable. 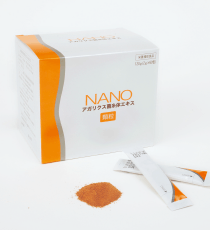 This product, we are using NANO technology, makes to improvement in bioavailability compared to current our products. And also is expected to be palatable and more effective with a small quantity than of our current. Copyright © KANEHIDE BIO Co.Ltd. All rights reserved.